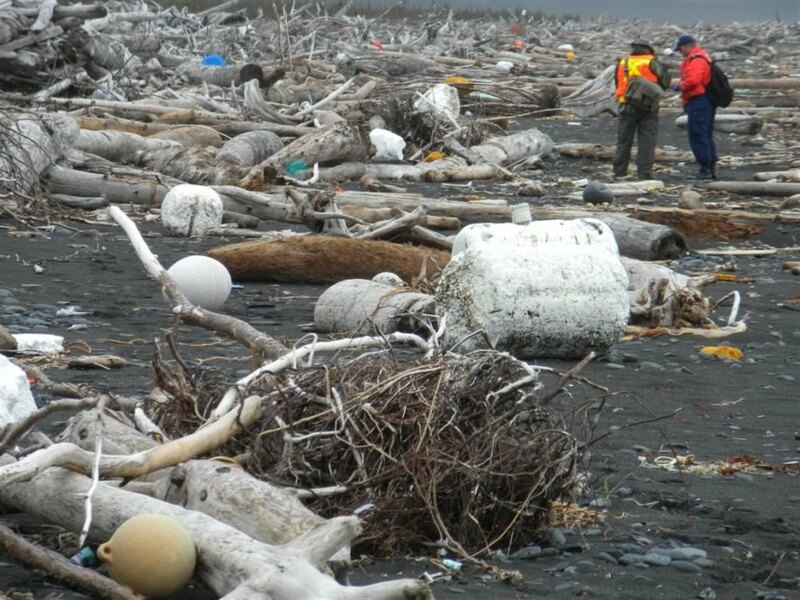 40 tons of debris from last year’s tsunami in Japan just washed up on Montague Island in Alaska’s Prince William Sound. Today workers today launched a massive cleanup on the largest uninhabited island in the United States, which has been inundated with everything from buoys to fuel jugs. The project is expected to last two weeks and is the first large project to collect and dispose of tsunami debris. 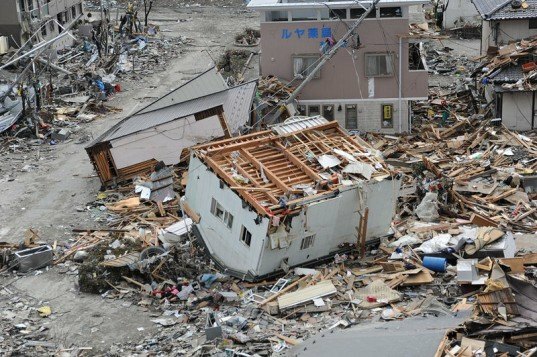 Japanese officials have estimated that approximately five million tons of debris has been swept out into the Pacific Ocean. Most of it sank, but 1.5 million tons are still floating across the ocean and have ended up in the Pacific Garbage Patch and as far south as Mexico. Government agencies including the National Oceanic and Atmospheric Administration (NOAA) and local non profits are concerned about invasive species and toxic materials that could wreak havoc with the Alaskan coast’s scenery and wildlife. Activist groups such as Gulf of Alaska Keeper (GoAK) and the Center for Alaskan Coastal Studies (CACS) are worried that barnacles attached to the Japan tsunami’s debris could devastate fisheries along Alaska’s shores. The ubiquitous polystyrene foam buoys, most of which washed up from Japanese oyster farms, are also dangerous. Specks that break off from the buoys resemble eggs or other foods, creating a danger to birds and sea mammals. Fuel seeping out of containers and engines pose environmental hazards as well. The cleanup is especially difficult in Alaska because of the remoteness of areas like Montague Island and the expense required to transport volunteers and equipment to the remote islands. Alaska Senator Mark Begich is requesting $45 million so NOAA can assist with the cleanup efforts. Meanwhile CACS, which has been tackling the mess since March, points out that garbage has been washing up on the Alaska coast for decades, and is calling for more awareness about the choices consumers make and the problems resulting from how communities dispose our waste. The tsunami debris has made a decades-long problem even worse.